Hetamentaries / General / Why write a travel diary when on the road? Why write a travel diary when on the road? by Hetaupdated on 18.10.2018 8.9.2018 Leave a Comment on Why write a travel diary when on the road? During my 26 years of life I have travelled to different parts of Europe, Asia and I’ve even toured through small part of Africa. There is one uniting theme in my longer travels; keeping a travel diary. My father has always documented our lives so I learnt from an early age to write things down. Especially during my long trips, such as the three months in Nepal and the 2 months in South-East Asia I wrote down carefully. I also photograph a lot which helps too. With the age of technology I have started keeping my diary in my laptop. I’ll write daily or weekly about the things I have seen and done. When I was backpacking I did not have a laptop so I had bought a cute notebook that I carried with myself. Nepal, 2014. During my time I wrote a diary almost everyday and it was almost like therapy for me. Easy to return to experiences and stories. Regardless of how you keep a diary, on bullet points or a novel length stories, it really helps when you want to get some joy into the dark evenings of autumn. I have had this happen to myself multiple times, that someone I know or their friends are going to places where I have been. Having a diary helps my goldfish mind remember the places and sights that were worth seeing and simultaneously helps me to tell the people what to avoid or prepare for. You can write them into a blog years later. 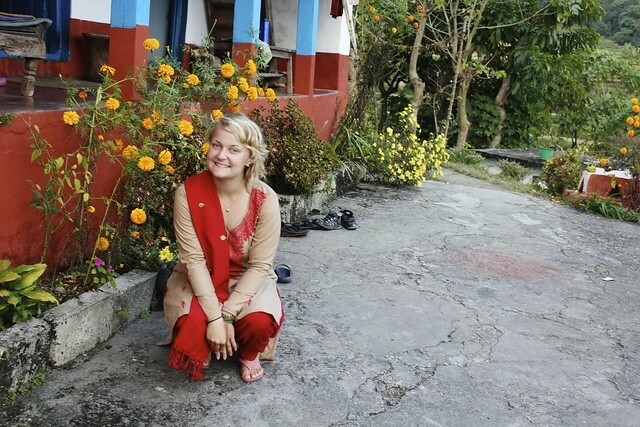 I am just beginning to write stories about my time in Nepal. I lived there 3 years ago, but because I have large amount of diaryentries, past blogs and photos I can easily write about the country even years later. 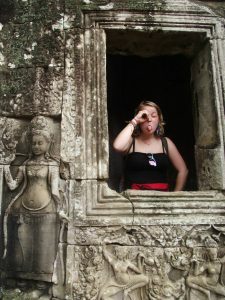 This way your old trips are still fresh in your memory when you decide to start a travel blog years later. Especially when backpacking you meet a lot of people. Some you bond with and want to keep in touch. Sometimes when you travel you do not have access to internet or you dont have a phone that has internet access. This is when diary comes in handy. Exchange details and they travel with you until you finally find internet access. Diary’s helped me to keep in touch with people I met even years later after my trip was over. Keeping a diary is good time alone. Sometimes during longer trips you have days when you need to be alone. You need a moment. Your travel buddy is annoying or the people at the hostel get on your nerves. This is when taking a diary and writing is almost therapeutic. During my time in Nepal keeping a diary was my therapy as being alone in a country with language barrier and no friends was tough at times. Diary was a good way to let your thoughts out of your head. There are my reasons for keeping a diary when travelling, especially for a long time. Photo from Cambodia, 2013. The diary from this trip is still in a drawer by my bed. Do you keep a diary when you travel? How and what kind?